The news came down Wednesday about the arrest of Patriots TE Aaron Hernandez for murder charges & his subsequent release from the team. This news has sent shockwaves throughout the country and has left a lot of questions in a variety of arenas. For us here, we will focus mainly on the fantasy football implications. Going into this season, Hernandez was a top 5 fantasy TE. Even though last season he only played in 10 games, he still was able to get 51 receptions for 483 yards & 5 TDs. He was one of Tom Brady’s favorite targets as evident by his 2011 stats (79 rec, 910 yds, 7 TDs) and was a key figure in the Patriots’ passing game. This season was looking to be a breakout year for Hernandez as he was fully recovered from his injuries from last season. He also was looked at being the focal point for the offense as the Patriots have lost several key offensive weapons due to free agency (Brandon Lloyd, Danny Woodhead & Wes Welker). Coupled with the uncertainty of the health status of the other starting TE Rob Gronkowski, a lot was expected of Hernandez. That has all changed with these recent events. For the Patriots, they look now to their backup TEs: Jake Ballard, Daniel Fells & Michael Hoomanawanui. Out of the three, Fells has seen the most action as he is coming into his 6th season but he has mainly played a backup role. Ballard is the youngest of the trio and was with the Giants team that won the Super Bowl a few years ago. He will probably be the best option of the three but the downside to him is he hasn’t played a snap since that Super Bowl game (ACL & microfracture surgeries). It will be vital to watch and see how training camp goes not just for these three but for Gronk as well. The Pats may also bring in a TE in free agency as teams make cuts during training camp as well. For the league as a whole, it does cut into the depth of TE in the fantasy market. Right now, Jimmy Graham would be the #1 fantasy TE. He is probably the most talented TE this year and probably the safest pick. However, he has injury concerns after last season’s injuries to his wrist and ankle (although he should be 100% coming into this season). For a position that a year ago seemed fairly deep for fantasy purposes, there is a lot of guesswork and questions this season as to who to have on your fantasy team. 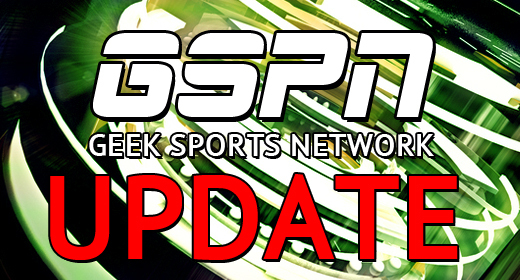 From all of us here at the Geek Sports Network, keep informed, keep updated & keep your eye on the ball.